Researchers found differences in the way people applied sunscreen and SPF moisturiser. More skin is missed with moisturiser - especially the eyelids, where the skin is thin and more vulnerable to cancer. Sunglasses with UV filters can help protect missed areas, the experts said. The researchers found that nearly 17% of the face was missed with SPF moisturiser compared with 11% for sunscreen. And there was 21% lower coverage of the area around the eyelids with moisturiser and 14% with sunscreen, the study in PLOS One found. 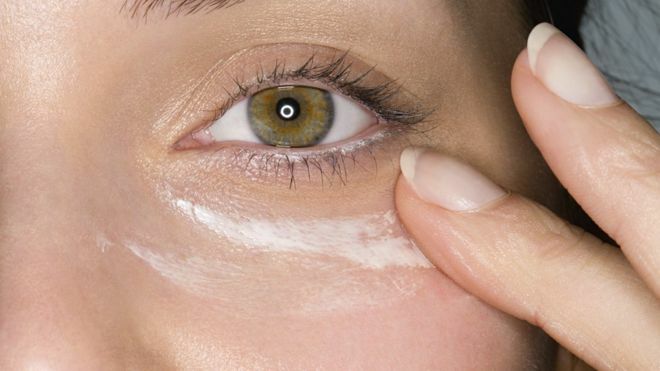 McCormick said that eyelid cancers accounted for 10% of all basal cell carcinomas in the UK, the most common type of skin cancer, so people should pay particular attention to the eyelid area when putting on any SPF cream. "If using moisturiser, we advise one with SPF: any SPF is better than none, but it should not be considered the equal of sunscreen," McCormick said.